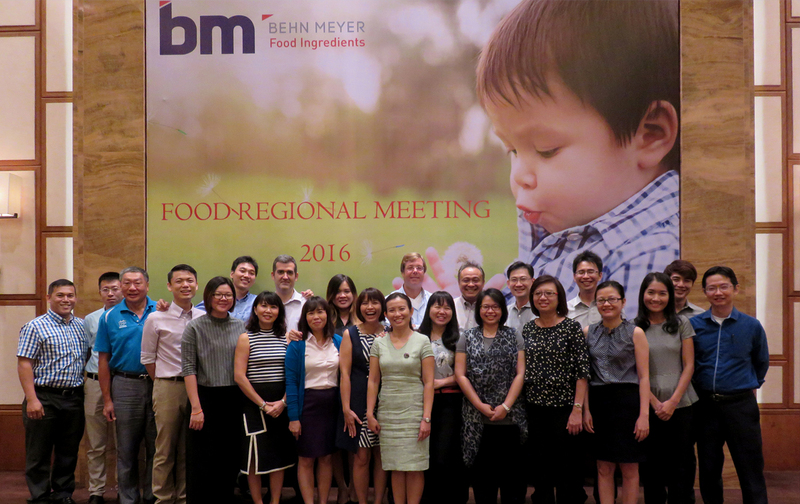 From 24 – 26 October, the annual Food Ingredients Regional Meeting was held in the picturesque coastal city of Da Nang, Vietnam. The event welcomed delegates representing seven Asian countries, namely China, Indonesia, Malaysia, Singapore, The Philippines, Thailand, and the host country Vietnam. Mr. Oliver Meyer, Regional Director for Food Ingredients, delivered the keynote address, emphasizing the Behn Meyer Group’s vision and strategy as we approach the milestone year of 2020. This was followed by a review of the group’s performance and a few words on current trends within the ASEAN Food Industry. Trailing Mr. Meyer’s address, representatives from each country also shared their unique insights and success stories. Dinner came in the form of a full spread of famous Vietnamese delicacies. The next couple of days brought the delegates to the Da Nang Marble Mountains, the giant statue of the Goddess of Mercy, as well as a lantern-crafting workshop in the beautiful city of Hoi An. All in all, the meeting was a great success, and everyone returned with renewed optimism and excitement to put into practice what they have learned.